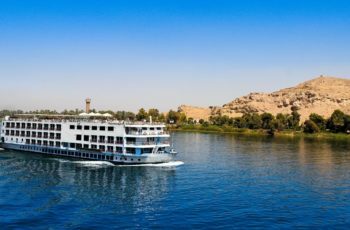 Egypt is one of Africa’s major tourism destinations with the main draw cards being the Red Sea, Egyptology and the Nile. 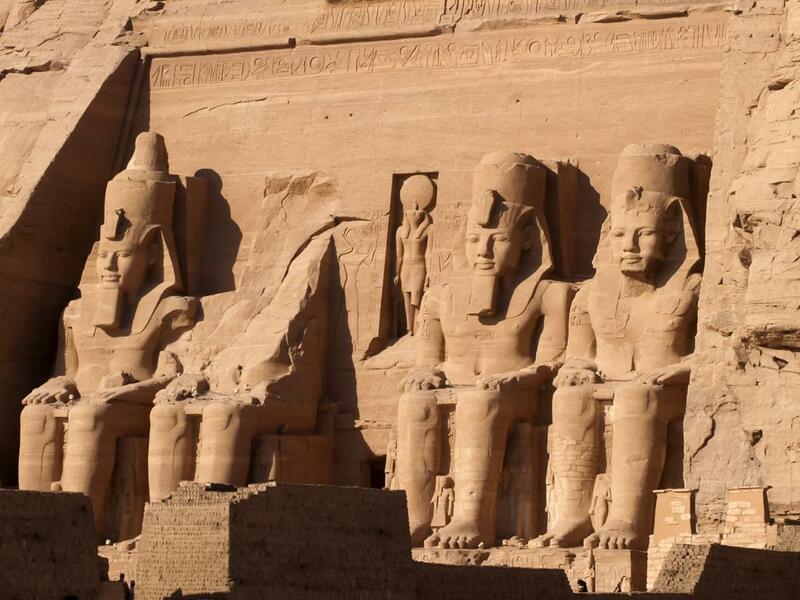 The Pyramids of Giza, the Sphinx and the Valley of the Kings need no introduction in the world of antiquity, the sun soaked beaches of the Red Sea with their scuba diving are a massive attraction to those from colder climes and a cruise on the Nile floods back memories of Cleopatra. 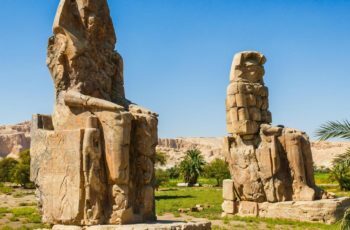 Aside from these famous attractions, this desert country houses ancient ruins and mystical Oases and in Cairo ancient cultures remain, blending with the very modern. 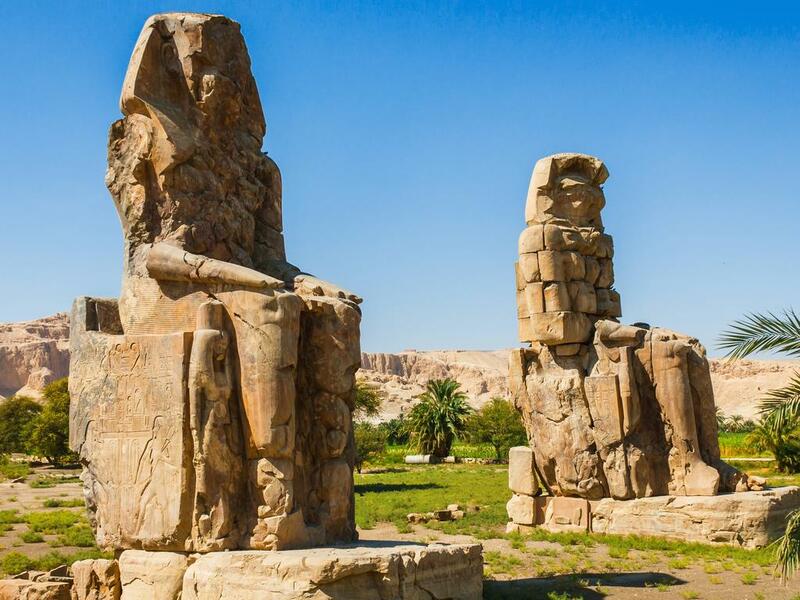 Egypt offers so much more than its world-famous pyramids. 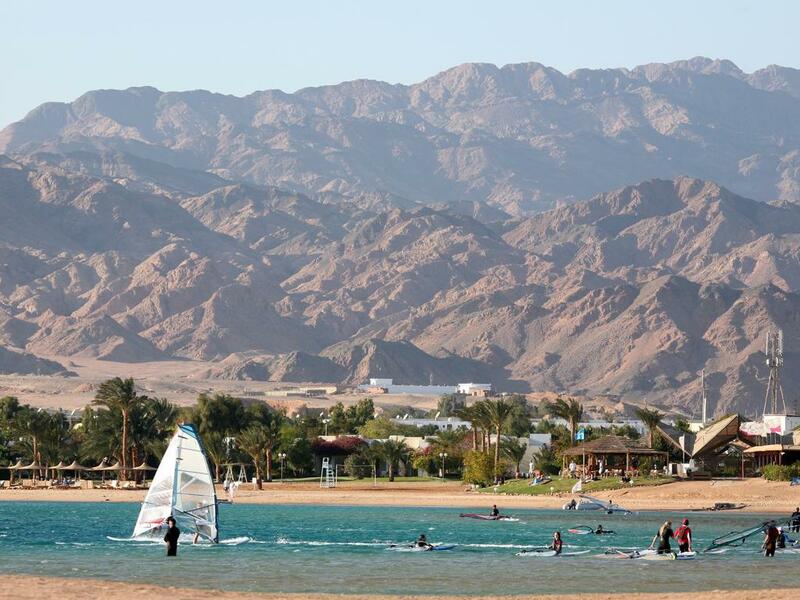 Visitors can go desert trekking, scuba diving, golfing, fishing, bird watching or floating along the Red Sea. Electrical sockets (outlets) in Egypt are one of the two European standard electrical socket types: The “Type C” Europlug and the “Type E” and “Type F” Schuko. If your appliance’s plug doesn’t match the shape of these sockets, you will need a travel plug adapter in order to plug in. Travel plug adapters simply change the shape of your appliance’s plug to match whatever type of socket you need to plug into. If it’s crucial to be able to plug in no matter what, bring an adapter for both types. Electrical sockets (outlets) in Egypt usually supply electricity at between 220 and 240 volts AC. If you’re plugging in an appliance that was built for 220-240 volt electrical input, or an appliance that is compatible with multiple voltages, then an adapter is all you need. The import and export of local currency is limited to E£5,000. The import and export of foreign currency is limited to US$10,000 or equivalent. The Egyptian pound is available outside Egypt and you can change money before you leave for your trip. Alternatively, 24-hour currency exchange is available at Cairo airport. It is worth exchanging at least a small amount for incidentals during your first day or two in Egypt. Keep small denomination notes for taxis fares as drivers rarely seem to have any change, and for tips, known as baksheesh, which are a way of life in Egypt. Banking hours: Sun-Thurs 08h30-14h00. Bureaux de change are generally also open in the evening 18h00-21h00. 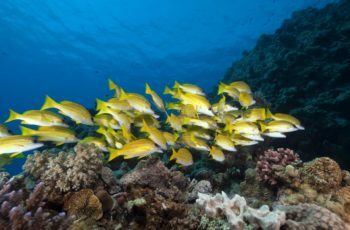 American Express, Diners Club, MasterCard and Visa credit cards are widely accepted in all but the smallest hotels and restaurants throughout the country, except in the Western oases. It is wise to keep your credit card in view when you make purchases or pay a restaurant bill, and to keep receipts for checking exchange rates and charges on your statement. ATMS can be found in all major towns and cities. Travellers cheques are becoming less useful now that international ATMs are prevalent throughout the country. To avoid additional exchange rate charges, travellers are advised to take traveller’s cheques in US Dollars, Euros or Pounds Sterling. You will need to show your passport when you change traveller’s cheques. Currency exchange is also available at banks, official bureaux de change outlets and most hotels. Banks often have better exchange rates than bureaux de change or hotels. All common international currencies are accepted. It is wise to divide your currency between you if there is more than one person in your party and keep it secure to guard against theft. It is advisable to take only what you will need for a day’s excursion and keep the remainder of your money in your hotel safe. Egyptian food reflects the country’s melting-pot history; native cooks using local ingredients have modified Greek, Turkish, Lebanese, Palestinian, and Syrian traditions to suit Egyptian budgets, customs, and tastes. The dishes are simple; made with naturally ripened fruits and vegetables and seasoned with fresh spices, they’re good and hearty. Food in the south, closely linked to North African cuisine, is more zesty than that found in the north, but neither is especially hot. The best cooking is often found in the smaller towns. Although Egyptian cooking can be bland and oily when poorly done, most of the cuisine is delicious. • Bread is one of the mainstays of Egyptian diets. A pita-style bread is the most common and is prepared with refined white flour or with coarse, whole wheat. Aysh shams is bread of leavened dough allowed to rise in the sun, and plain aysh comes in thin French-style loaves. • Native beans are another staple for most Egyptians. Ful beans can be boiled, with vegetables, and then mashed with onions, tomatoes, and spices. This mixture is often served with an egg for breakfast, without the egg for other meals. A similar sauce, cooked down into a paste, fills sandwiches sold on the street. Ful can also be soaked, minced, mixed with spices, formed into patties (called ta’miyya in Cairo and falaafil in Alexandria), and deep-fried. These patties, garnished with tomatoes, lettuce, and tihina sauce, are stuffed into aysh and sold on the street. • Molokhiyya is a green, leafy vegetable that is distinctively Egyptian, and is the basis for a traditional thick soup. Its leaves are chopped and stewed in chicken stock. It may be served with or without chicken, rabbit, or lamb in it. This soup can also be served with crushed bread or over rice. If you’re served it straight, it’s polite to dunk bread. • Ruzz (rice) and bread are the main ingredients in Egyptian main courses, which may be served either as lunch or dinner. For most Egyptians, meat is a luxury and is used only in small amounts. It is cooked with vegetables, and served with or over rice. But meat dishes, on the other hand, comprise most restaurant fare. • Torly, a mixed-vegetable casserole or stew, is usually made with lamb, (only occasionally beef) and onions, potatoes, beans, and peas. Egyptian-style kebabs are made of chunks of lamb seasoned in onion, marjoram, and lemon juice, and then roasted over an open fire. Kufta is ground lamb flavored with spices and onions and rolled into long narrow balls and roasted. It is often served with kebabs. Pork is considered unclean by Muslims, but is readily available in restaurants as is beef. • Hamaam (pigeons) are raised throughout Egypt and many consider them a national delicacy. They are stuffed with seasoned rice and grilled. They are small so diners often order several. Egyptians serve freshwater and salt water fish under the general term of samak. 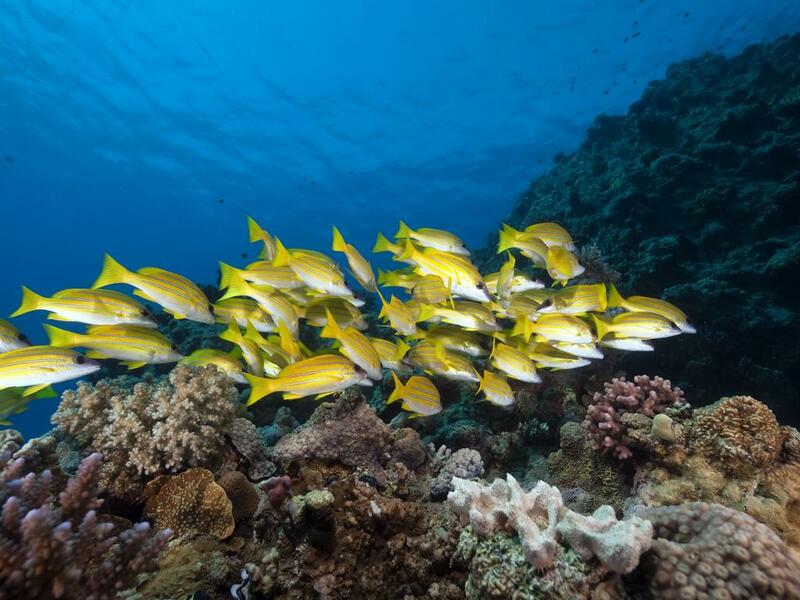 The best fish seem to be near the coasts (ocean variety) or in Aswan, where they are caught from Lake Nasser. As well as common bass and sole, offerings include gambari (shrimp), calamari (squid), gandofli (scallops), and ti’baan (eel). The latter, a white meat with a delicate salmon flavoring, can be bought on the street already deep-fried. Rice is often varied by cooking it with nuts, onions, vegetables, or small amounts of meat. Bataatis (potatoes) are usually fried but may be boiled or stuffed. Egyptians stuff green vegetables with mixtures of rice. Wara’ enab, for example, is boiled grape leaves filled with small amounts of spiced rice with or without ground meat. Westerners often know them by the Greek name of dolmadas or dolmas, but beware ordering them by that name; in Egypt, doma refers to a mixture of stuffed vegetables. Native cheese, gibna, comes in two varieties: gibna beida, similar to feta, and gibna rumy, a sharp, hard, pale yellow cheese. These are normally used in salads and sandwiches. Mish is a spiced, dry cheese made into a paste and served as an hors d’oeuvre. Egypt offers a wide variety of fresh fruits year-round, but since all are tree- or vine-ripened, only those in season appear in markets. In the winter, bananas, dates, and several varieties of oranges abound. Special treats are pink oranges, which have normal skin but the pulp is red and sweet. In summer, melon, peach, plum, and grapes are available. Tin shawki is a cactus fruit that appears in August or September. Egyptian desserts of pastry or puddings are usually soaked with honey syrup. Baklava (filo dough, honey, and nuts) is one of the less sweet. Fatir are pancakes stuffed with everything from eggs to apricots. Basbousa is a sweet made of semolina pastry soaked in honey and topped with hazelnuts. Umm ali, named for Mamluk queen, is raisin cake soaked in milk, served hot. Egyptian rice pudding is called mahallabiyya and topped with pistachios. Egyptian ice cream runs closer to ice milk or sherbet than cream. Fresh fruits are commonly served for desserts. Although Egyptian eating habits may seem erratic, most natives begin the day with a light breakfast of beans (or bean cakes), eggs, and/or pickles, cheeses, and jams. Most families eat their large, starchy lunch around 14h00-17h00 and follow it with a siesta. They may take a British-style tea at 17h00 or 18h00 and eat a light supper (often leftovers from lunch) late in the evening. Dinner parties, however, are scheduled late, often no earlier than 21h00, with the meal served an hour or two later. In restaurants lunch is normally 13h00-16h00, dinner 20h00-24h00. A 10-12% service charge is typically added to hotel and restaurant bills but an extra tip of 5% is normal. Use only bottled water for drinking and, to be on the safe side, when brushing teeth. When buying bottled water, check the seal of the bottle is intact…. There is very little rain at any time of year in Egypt, but there is a considerable variation in temperature during the year and also between night and day. The climate is less extreme on the Mediterranean coast, where it is always cooler than in the rest of the country. Rain is most common in Jan. & Feb. in Cairo and Nov. – Feb. in Aswan. Mar. & Apr. can bring the khamaseen, a strong hot wind that carries dust and sand from the Sahara Desert. 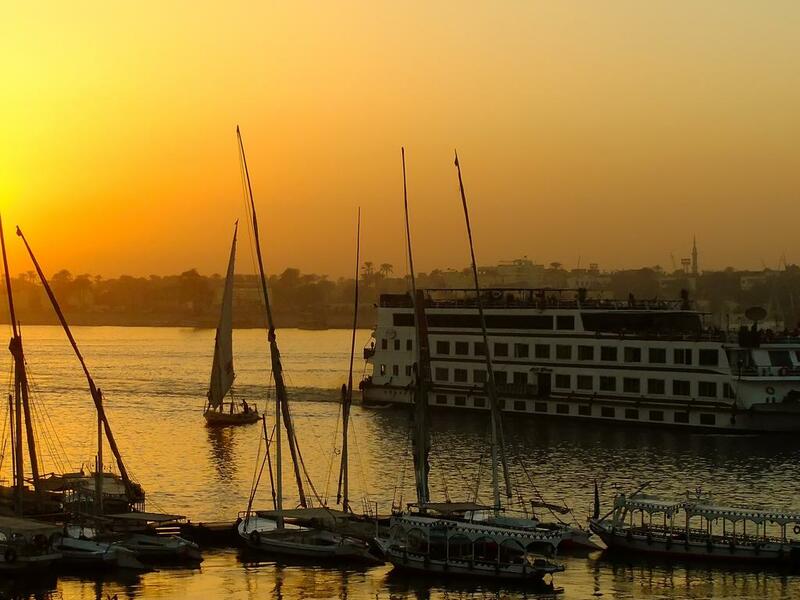 Cairo, which is actually part of Lower Egypt because the Nile flows from south to north, is extremely hot from June – Sept., but is more bearable at night. It can be quite cold in winter months, often with rain around Christmas. The air is drier and hotter toward the south, which is Upper Egypt. Southern areas are hot even in winter, with surprisingly cold nights. The tourist season is traditionally from the end of Nov. – Feb., but Cairo and even Luxor are quite chilly at that time. The best time is either May when the heat is still bearable, or Oct. – Nov. when the long, hot summer comes to an end. 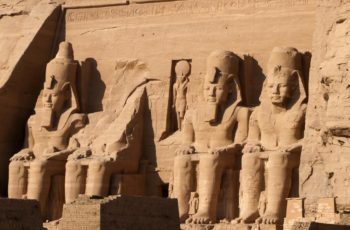 The Egyptian national airline, Egyptair, operates all domestic flights in Egypt and serves 11 major airports: Abu Simbel, Alexandria, Assiut, Aswan, Cairo, Hurghada, Luxor, Marsa Alam, Marsa Matruh, Sharm el-Sheikh, and Taba. The easiest way to move around major Egyptian cities is by using the always abundant public taxis; each city has its own colour of public taxi; yellow and black in Alexandria, and black and white in Cairo, for instance. Cairo has also a fleet of metered, air-conditioned Yellow and White Taxis with which you should book your taxi one hour before a journey. There’s an extensive network of buses running between the major cities in Egypt. Bus companies such as Superjet, Delta and Upper Egypt – only to name a few – usually provide air-conditioned buses, with some refreshments, toilets and an in-ride movie. Buses are by far the best transportation mean for day trips. They are very affordable, but you have to think of making your reservations at least one day in advance. Renting a car in Egypt is easy; most major international car hire agencies have offices in Egypt’s airports and towns. Rates are comparable to international car hire charges and many companies offer online reservation facilities. In order to rent a vehicle and drive in Egypt, you’ll be asked to provide an International Driving License. Egyptians drive on the right-hand side of the road, and the official out-of-town speed limit is 90 km/h. What you wear will depend a little on whether you are staying solely in the tourist beach resorts, or exploring the wider country. However always remember it is a Muslim country so you should respect their conservative values at all times. Local people like to dress up in the evening, so if you’re going out to dinner it’s a great opportunity to dress with more care than usual. Egypt is a Muslim country, and although its cities are modern and local women may wear make-up now, they always dress conservatively. Egyptians find it very inappropriate to reveal even the slightest amount of stomach or hips, so short tops, short skirts or shorts, or tight clothes should be avoided completely when away from tourist hotels. Cotton or other natural fiber long-sleeved shirts or t-shirts, worn with long pants or ankle length skirts are a good choice, and keep your shoulders covered too. Keep clothing loose – it will keep you cooler and you’ll get less unwanted attention. 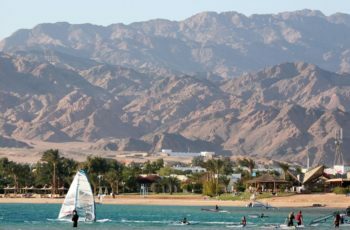 Although the dress code is more relaxed in hotels and tourist resorts like Sharm el Sheikh, you will find that you will get more respect if you dress modestly – a pashmina or wrap can be useful for times when you need to cover up. 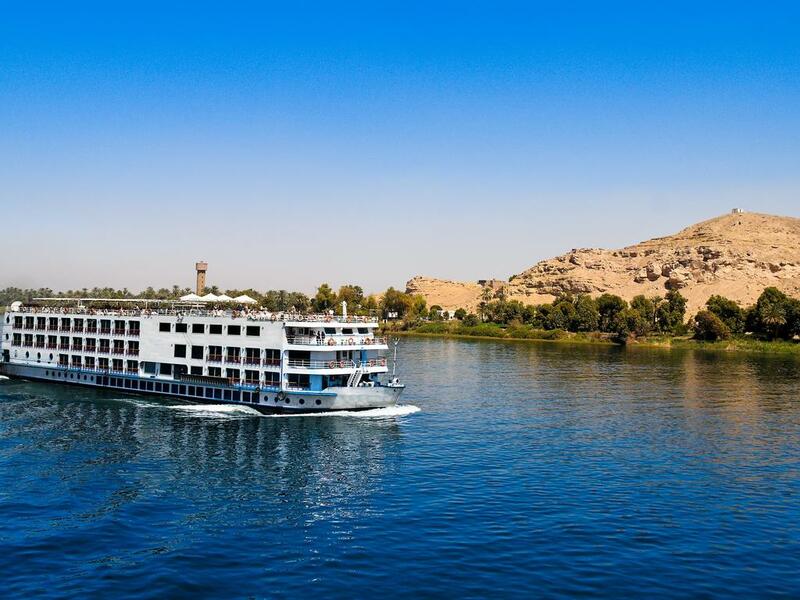 On Nile cruises, you might want to pack something that you can wear to the costume party held on board. Bear in mind that laundry service is very good and done the same day, except Fridays. Also remember, the rooms on the Nile cruise ships are small compared to larger, ocean-going liners. As with travel to any destination, common sense should be the prevailing guide to avoid problems. In major cities in Egypt as elsewhere, it is strongly suggested that visitors not walk alone at night. While violent incidents in Egypt are rare, purse snatching, pick-pocketing and petty thefts are not uncommon. Aggressive panhandling is common. Unescorted women are vulnerable to sexual harassment and verbal abuse. Women should be confident when walking in the streets, and not react to verbal obscenities. In public places, there is often a section reserved for women. 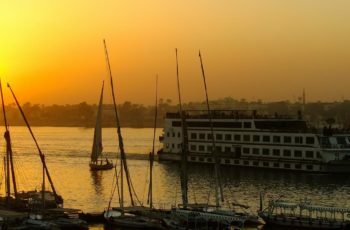 Cairo is generally safer than most European capitals, but tourists are considered wealthy and some Egyptians cannot resist the temptation. During the day, take only the indispensable in your backpack or fanny pack. Do not take your passport, airline tickets, or all your money on day trips. Leave these and other valuables in hotel safes, and always ask for a receipt. Do not leave cash, travelers’ checks, airline tickets, etc. in an unattended room, even in a locked suitcase. Carry copies of your documents and only the amount of money you think you will need. Leave your jewelry at home! U.S. citizens do require a visa. Non U.S. citizens should consult with your local embassy. *These holidays are not official, although Coptic Christians may observe them. Muslim festivals are timed according to local sightings of various phases of the moon and the dates given above are approximations. During the lunar month of Ramadan that precedes the Bairam Feast, Muslims fast during the day and feast at night and normal business patterns may be interrupted. Some restaurants are closed during the day but most tourist attractions and hotels are not affected. Some disruption may continue into the 3-day Grand Feast itself. When Egyptians meet, they don’t just say hello. Greetings are quite elaborate, and very often they will force one another to stop for tea. The farewells will be as elaborate as the greetings. Foreigners who take time to ask after people’s health are always appreciated. Whether Muslim or Copt, Egyptians are deeply religious and these principles govern their daily lives. In combination, is commitment to extended family. Each family member is responsible for the family integrity and the behavior of other members. All visitors to mosques, mausoleums, and madrasas must remove their shoes. Most Muslims walk around in their stockings but those mosques that are major tourist attractions have canvas overshoes available. Here, a tip of 50PT to LE1 is in order for the people who put them on for you. Women must cover their bare arms and should also have a hat or other head covering. Muslims are scrupulous about washing before prayer. They are just as scrupulous about eating and will only use their right hand; the left is reserved for cleaning themselves. Feet are also considered unclean, so when a Muslim enters a mosque he takes off his shoes and when he sits down facing someone, he makes sure the soles of his feet are not showing. Egyptian men walk hand in hand down the street, but it is rare to see males and females touch in public. Physical contact between foreign couples is also frowned upon. If you want to feel at ease, don’t kiss or embrace in the street. For men, speaking to an unknown Egyptian woman is a breach of etiquette. Ticket lines are occasionally segregated by gender. Women should line up with other women (bonus: the lines are usually shorter). Unlike most Westerners, most Egyptians require little personal space and will stand within inches of you to talk. You will find whenever you start talking with an Egyptian, you will inevitably draw a crowd, and often the Egyptians will discuss among themselves over the correct answer to a question. Egyptians, if offered anything, will refuse the first invitation, which is customary. You should do the same (unless you’re dealing with Egyptians used to Western frankness). If the offer is from the heart, and not just politeness, it will be repeated. If you’re invited into a home, especially in small villages, and have to refuse, the householder will often press for a promise from you to visit in the future, usually for a meal. If you make such a promise, keep it, for having foreign guests is often considered a social coup. If you fail to arrive, your would-be host will be humiliated. To repay invitations, you may host a dinner in a restaurant, a common practice. In Egypt, you are a khawaga (foreigner) and, therefore, rich. As such you are supposed to have baksheesh (literally: share wealth) for everyone. Obviously, you tip a waiter, porter or taxi driver, but the guard who opens a tomb or switches on the light “especially for you” will also expect a tip. Children whose picture you take and even people who didn’t do anything at all will ask for money. Alms for the poor are called baksheesh, too. Everyone seems to want something from you, and while this is annoying, please understand that is very much a part of the culture. Maintaining a good humor about this aspect of travel is essential to your enjoyment of the trip. So you might as well get used to paying something if someone makes your life easier. Indeed, this type of bribery is often necessary just to get something done. But do resist giving money to people who haven’t done anything. An exception to tipping – please do not offer tips to professionals, businessmen, or others who would consider themselves your equal. You may seriously offend them by your act. We emphasize that tipping is definitely not a requirement but should be undertaken only by choice. Whatever you believe to be appropriate will be appreciated by the staff you have met. If you want to tip because you have received good service, we have enclosed a brief guideline to assist you. ¨ All hotel taxes and service charges have been included in the cost of your tour, so unless someone provides you with extra service such as room service, you need not tip. Always check your bill first to see if a service charge has been automatically added. Tipping for cruise staff is done at the end of the cruise. Generally, tips are pooled among the entire cruise ship staff in the equivalent of USD$12-15 per person per day. This does not include the cruise guide. The official language is Arabic, but English and French are very widely spoken, especially in tourist centers….